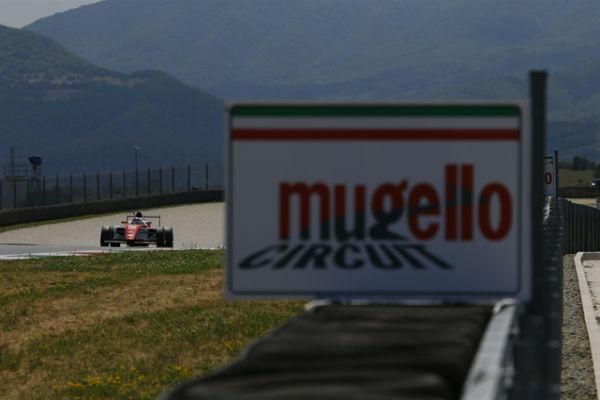 Less than a month after the last round at Imola, the Italian F4 Championship powered by Abarth returns to the track, and for the second time this season at the Mugello circuit (the third if we include the official test held on August 30). The first time, Marcus Armstrong and Juri Vips took the pole positions, while Armstrong, Vips and Van Uitert won the three races, respectively. Drivers and teams therefore will arrive at the circuit this weekend with a mountain of data available to them in order to attain an ideal set-up. Another reason to expect close battles in qualifying and all 3 races. • The New Zealander driver Marcus Armstrong (Prema Power Team) leads the championship on 209 points ahead of the Dutch driver Job Van Uitert (Jenzer Motorsport) on 192 points. Following are the Italian Lorenzo Colombo (Bhaitech) on 166 points, and then, slightly further back, the Venezuelan Sebastian Fernandez (Bhaitech, 131) and then his team mate the Italian Leonardo Lorandi, a 122 (also leading the Rookie Trophy thanks to his 353 points). This weekend also sees the debut in the Italian F4 Championship of the Austrian driver Lukas Dunner, with the Prema Power Team. • The programme for this weekend is as follows; Friday October the 6th, the first two free practice sessions – with a duration of 40 minutes each – during the morning at 9:30 and then 12:55. Then at 16:30 and then at 16:55, still on Friday, sees the two qualifying sessions which will determine the grids for Races 1 and 2. Each qualifying session will be over 15 minutes, with a 10 minute pause in between. In the case of two drivers attaining an identical time, the higher position will be given to the driver who attained the time first. • Race 1 will be held on Saturday the 7th at 13:25, meanwhile on Sunday at 9:00 and 15:55 will see Races 2 and 3 respectively. The grid for Race 3 will be determined by the second best times attained by drivers in either of the qualifying sessions. • All races contribute to the various championships including the overall championship, the Rookie Trophy (for series debutants), the Woman’s Trophy and the Teams Trophy. • Fans can follow the action directly on Sportitalia (Channel 60 and Digital Sky 225), streamed live on www.f4championship.com, and also on the official WSK Promotion app.